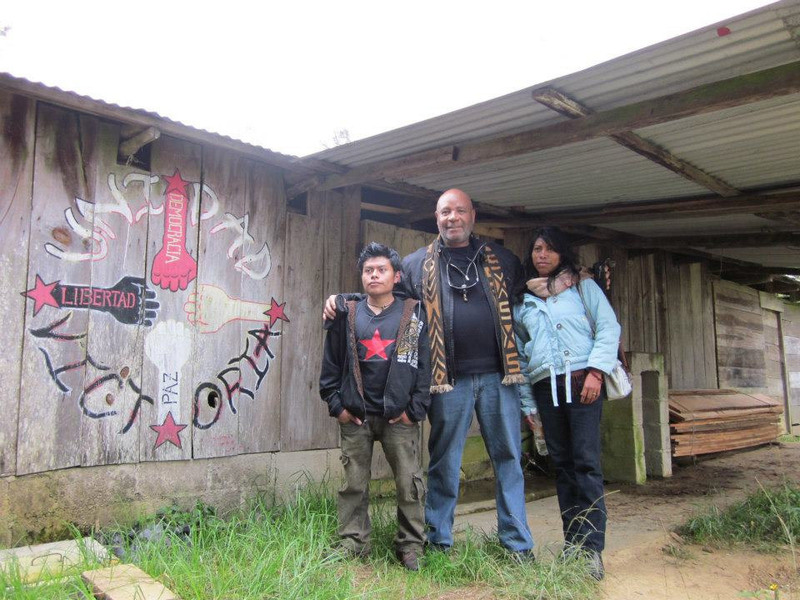 Emory Douglas, the former Minister of Culture for the Black Panther Party, was in residency at EDELO in Chiapas, Mexico in November of 2012, then Dec- JAN 2013. During his time in Chiapas, he visited Zapatista communities and worked with Zapatista painters while simultaneously guiding a team of artists and editors in the layout and construction of ZPN. The newsletter will also include personal reflections authored by writers, academics, and artists on how art has moved and encouraged their own self-definition, work, and hope in a possible, better world. This work is an attempt to highlight the positive and transformative roles art has played with in social, cultural, and revolutionary movements in promoting the possibilities of imagining other worlds. It is also a project that demonstrates how contemporary art practices side step between the traditionally, political, and conceptual performative works, from the ground up, with in communities of struggle, as opposed to contemporary “high” art practices taught by leading art institutions. This is a grass roots effort to bring together two very powerful visual and political social movements of our time. And in times of much revolutionary fever and economic insecurity, we feel it is important to share what Art can and has done to create change and break society’s notions of normality.